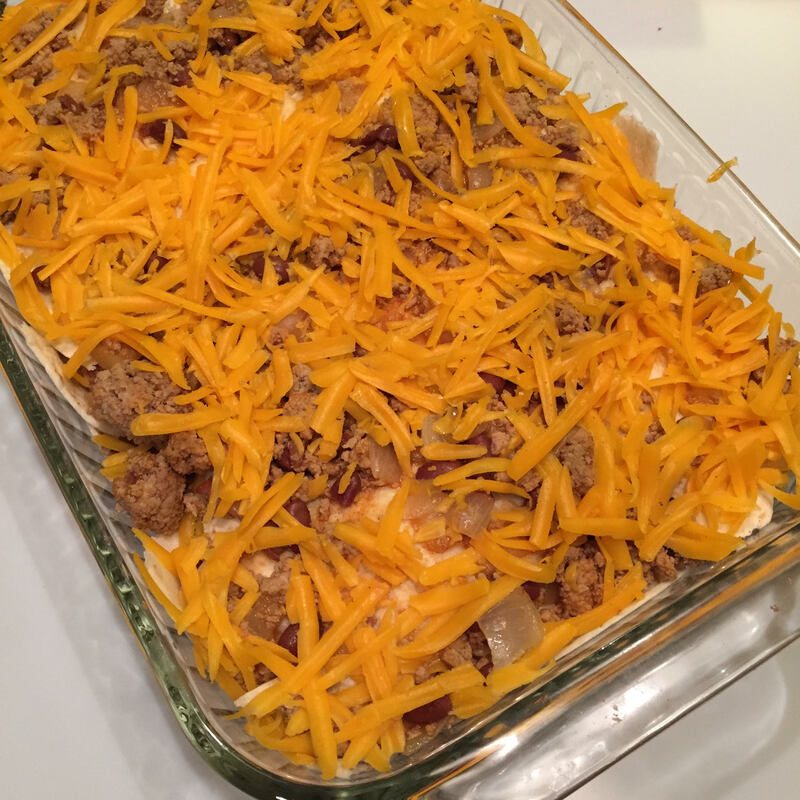 What do you do when you want to make hashbrown casserole, but you don’t have any sour cream? Well, if you’re me, you decide to get creative and make do with what you have! This was me two weeks ago. I woke up Sunday morning and realized that I needed to bring something to our church brunch that morning. 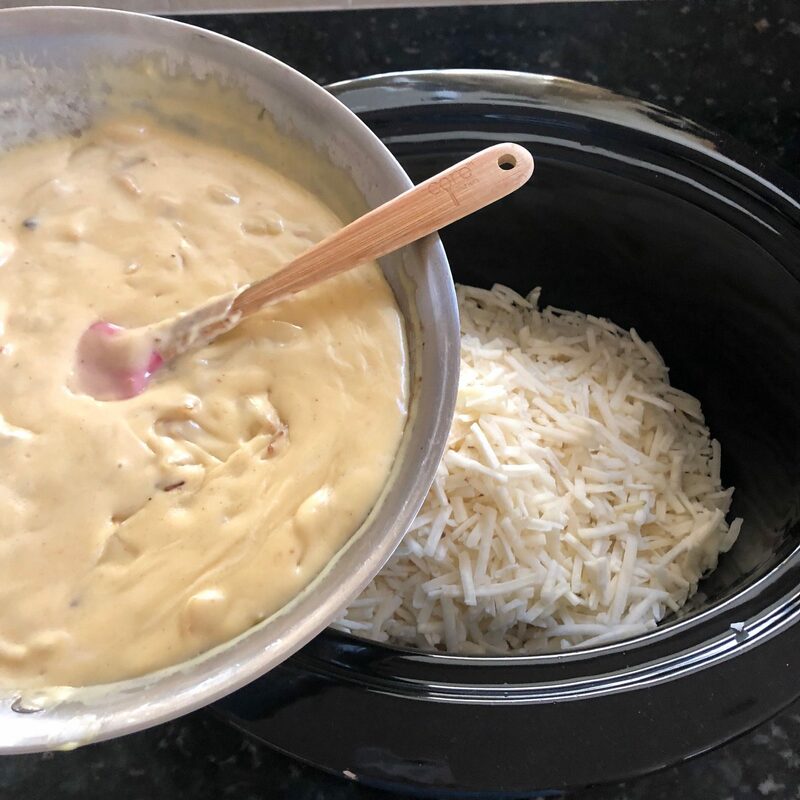 We had just bought the Ore-Ida Potatoes at Kroger that were on sale for $0.99 per bag as part of the weekend deal and I had a can of cream of chicken soup + a block of cheddar cheese, so I was itching to make Hashbrown Casserole in the Crockpot. The only problem? We didn’t have sour cream or Greek yogurt or anything that could stand in for sour cream. 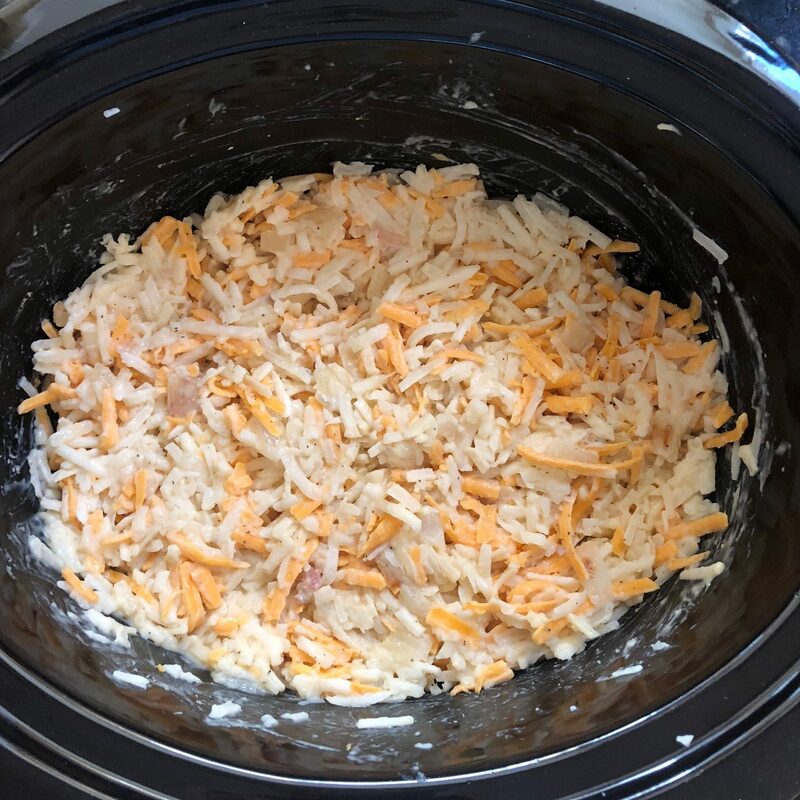 And every online search for Crockpot Hashbrown Casserole brought up recipes that had sour cream in them. 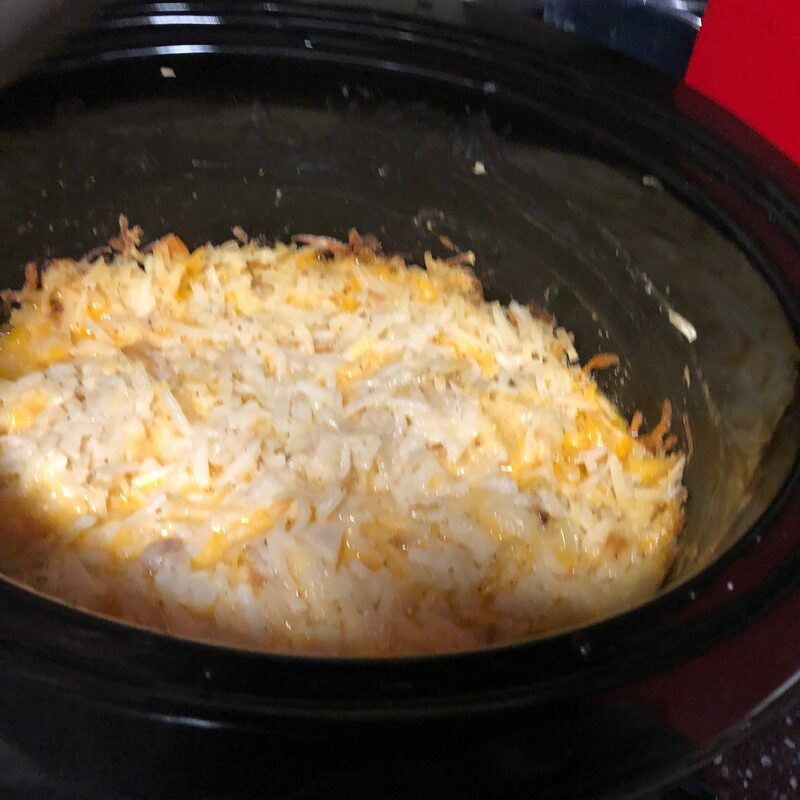 However, not to be deterred, I remembered this Hashbrown Potatoes recipe from my sister that doesn’t have sour cream or cream soup in it, so I decided to just try and see if I could make something up with what I had on hand. 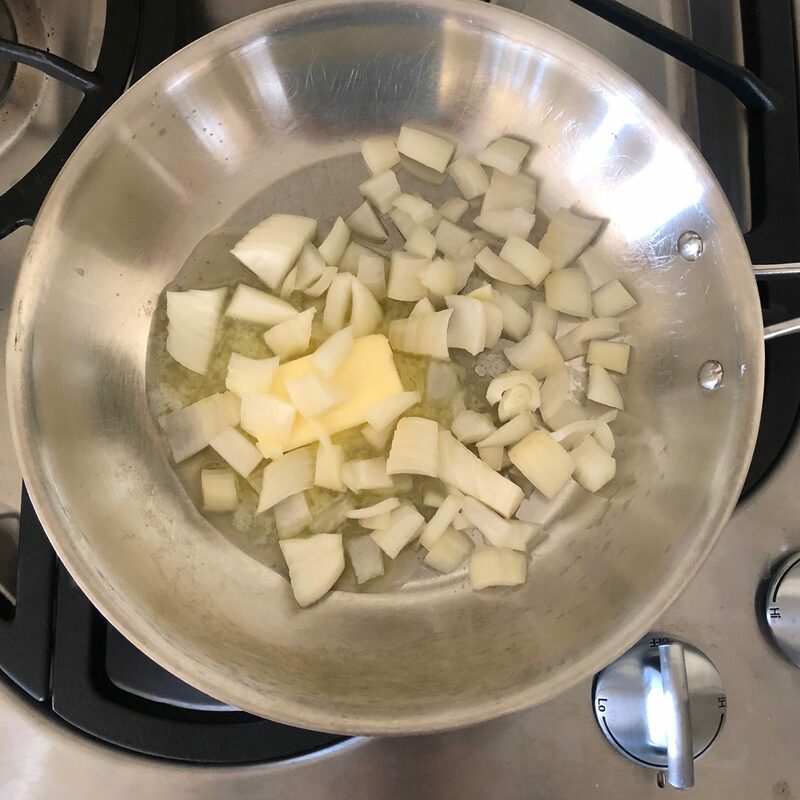 I browned the onions in half a stick of butter. 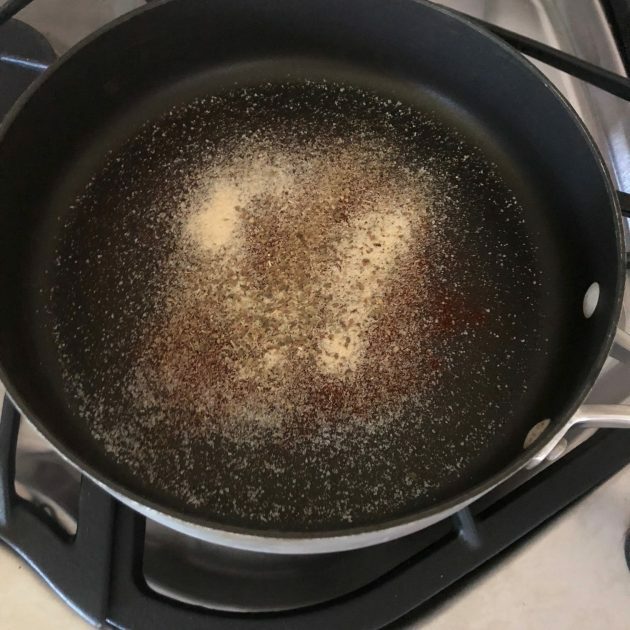 Then, I added the can of cream of chicken soup some milk and heated it through. 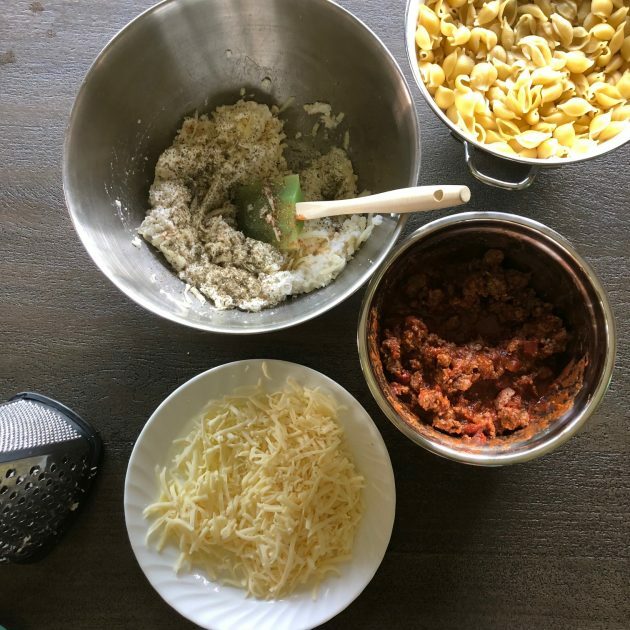 While this was simmering, I grated some cheese. 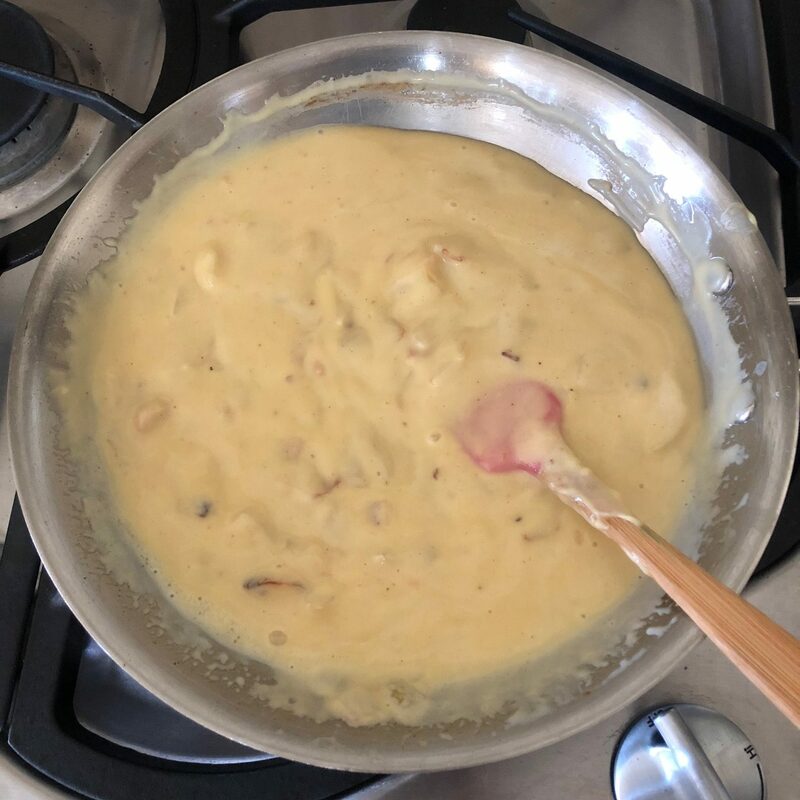 I mixed the soup mixture in with the potatoes. 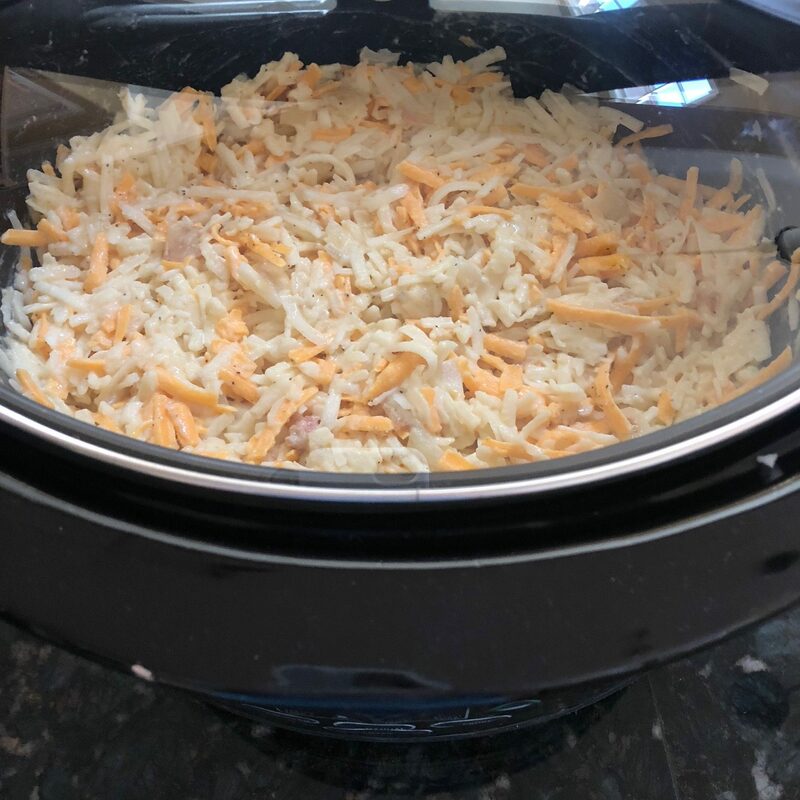 And then dumped the shredded cheese on top. 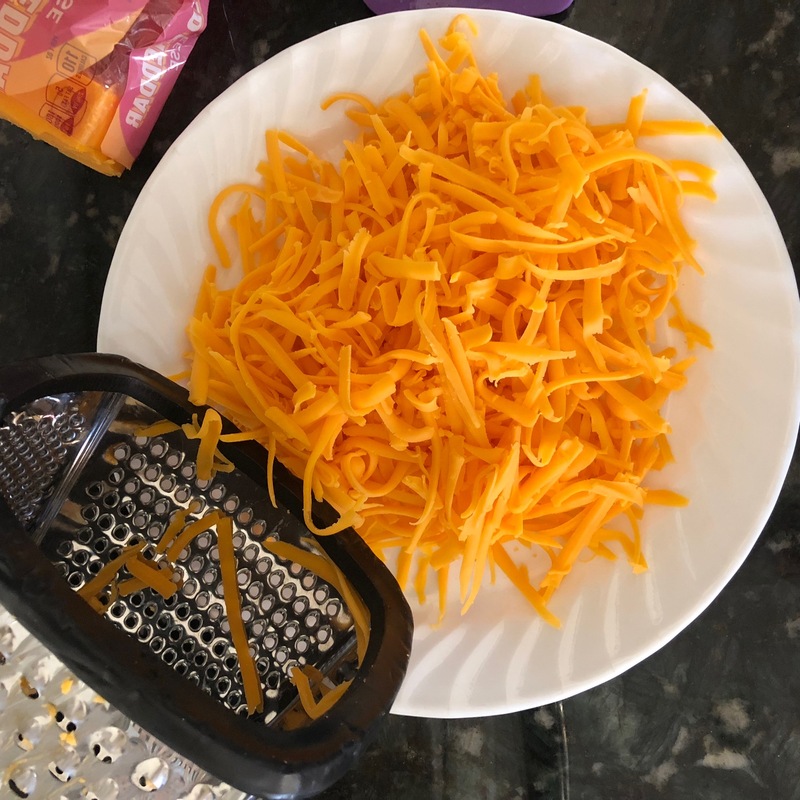 And mixed the cheese in. 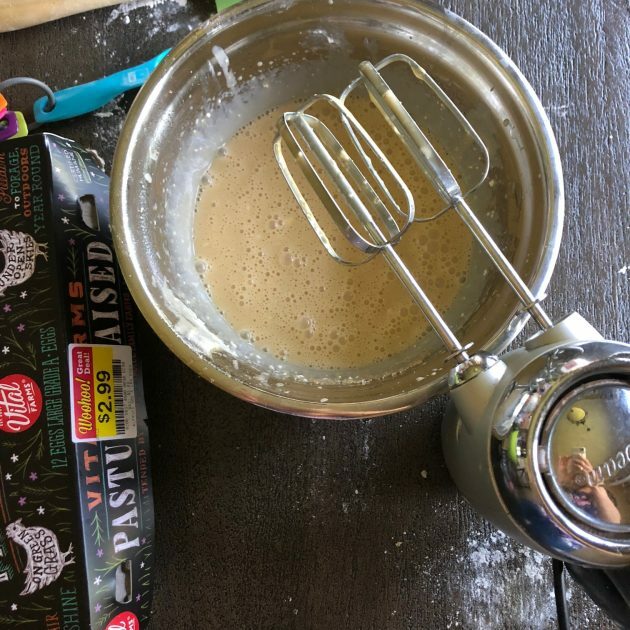 Not all of my kitchen creations have turned out so successfully, but it’s always a victory when they do — and I get creative and make do with what I have on hand! 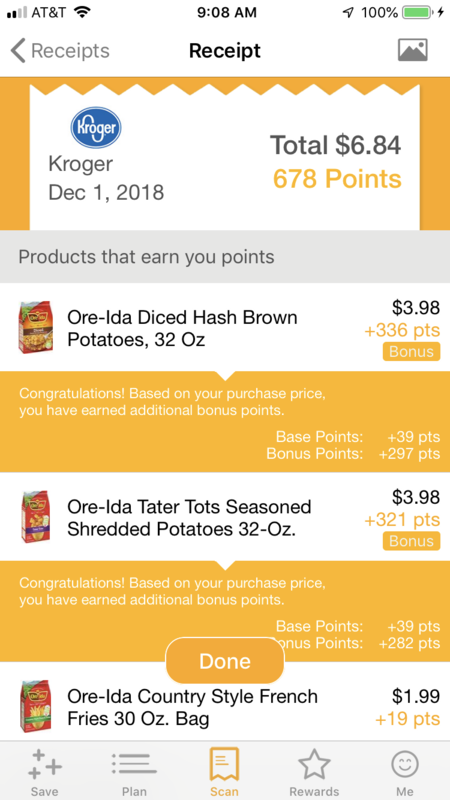 By the way, I got 678 points from Fetch for buying the Hashbrown Potatoes! Yay for free points and free gifts cards for something I was already planning on buying! 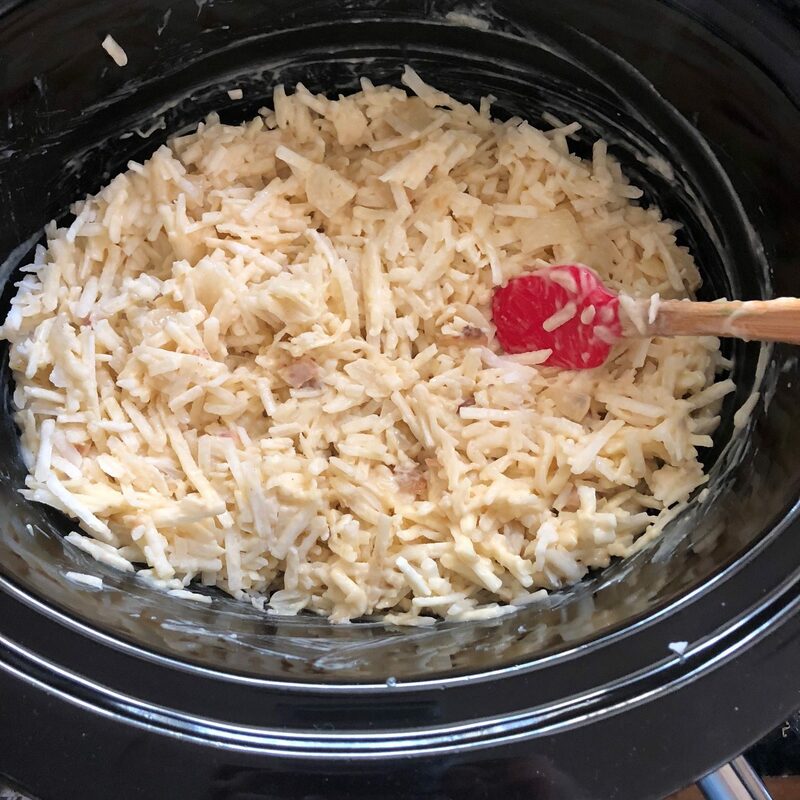 Looking for another yummy Hashbrown Potato recipe that doesn’t require any sour cream or cream soup? 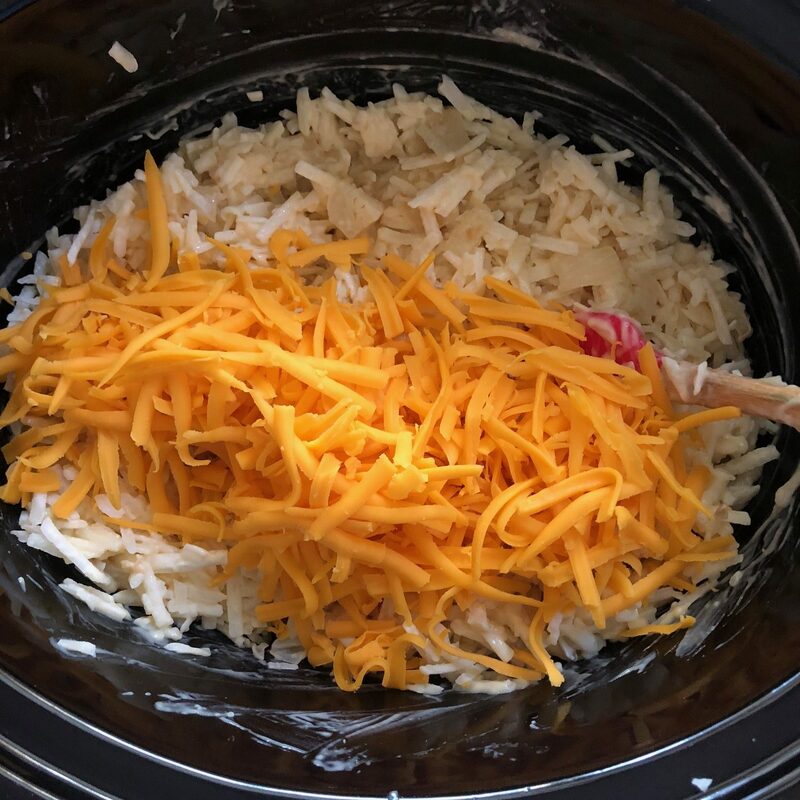 Check out my sister’s Cheesy Hashbrown Potatoes recipe. For live updates, be sure to . 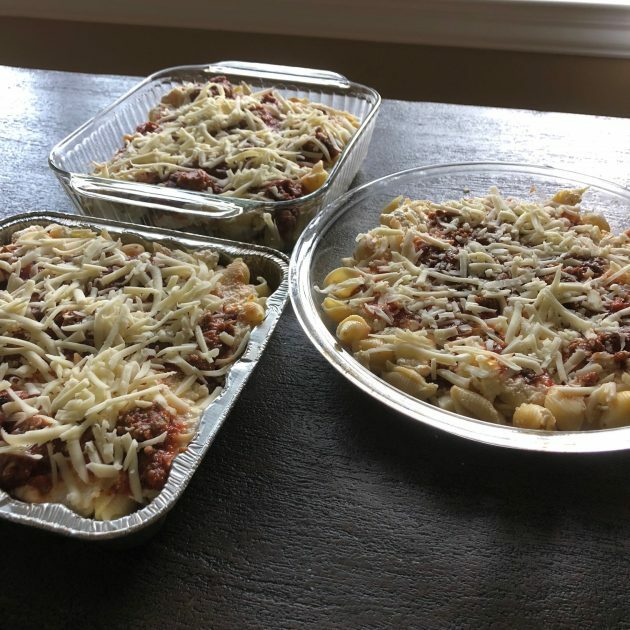 I had planned to do a Freezer Cooking Day earlier this week, but life happened and I ended up only getting two different recipes made. Sometimes, you just do the best you can do, right? The good news? 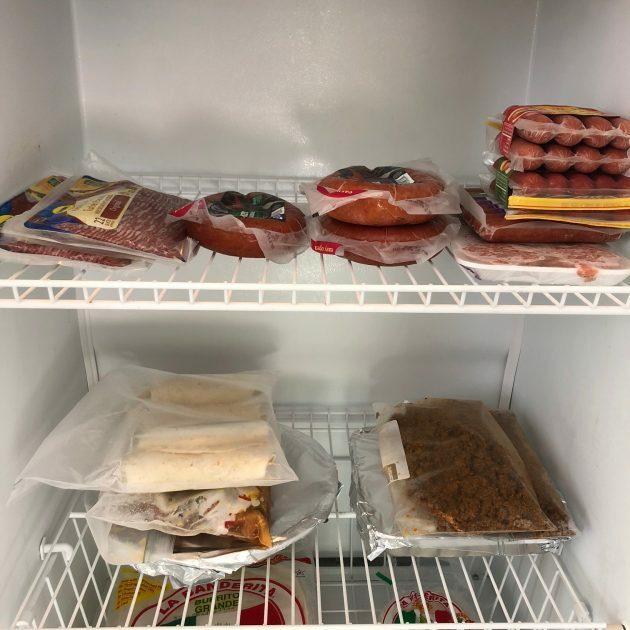 At least our freezer filled up a little more with yummy food! 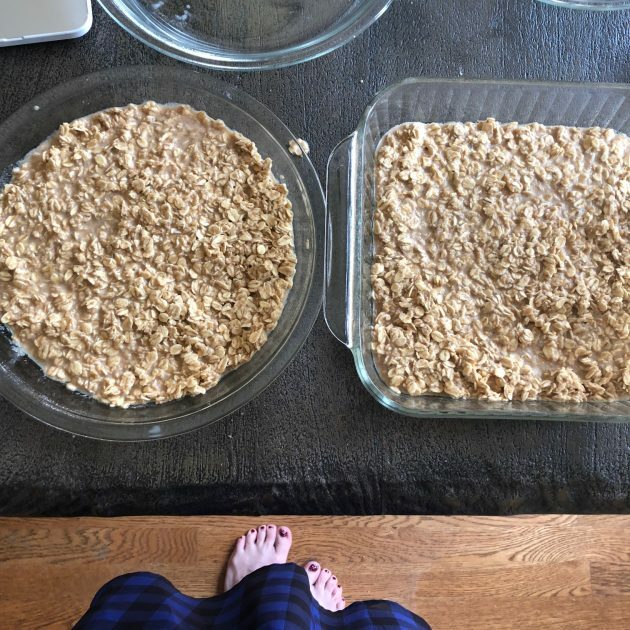 I made 4 pans of Baked Oatmeal. 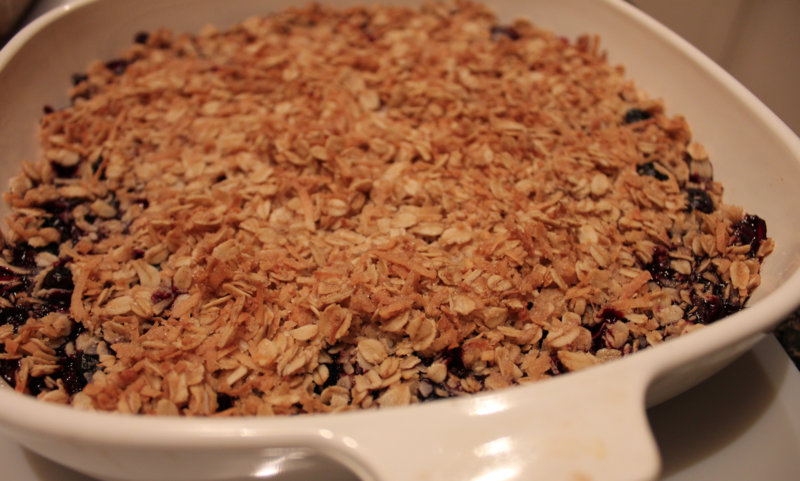 This is a family favorite and my kids (and Jesse!) were so excited that I made it since it’s been quite awhile since I’ve made it. 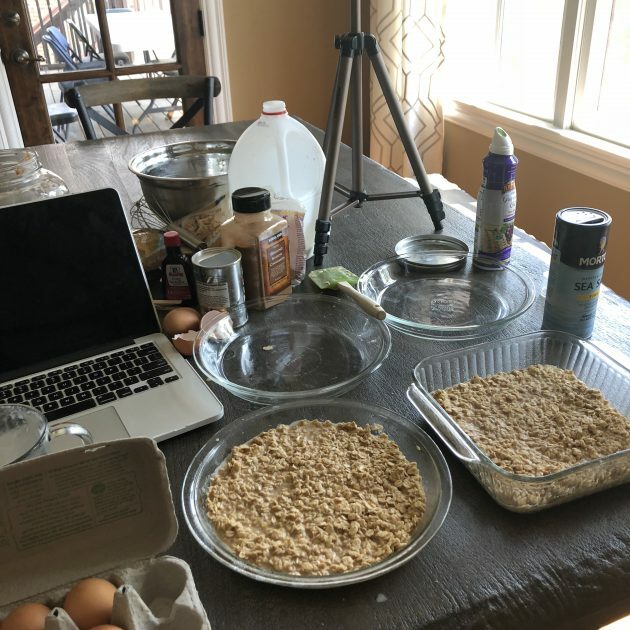 I made the Baked Oatmeal on live video — only I forgot I was supposed to double it! 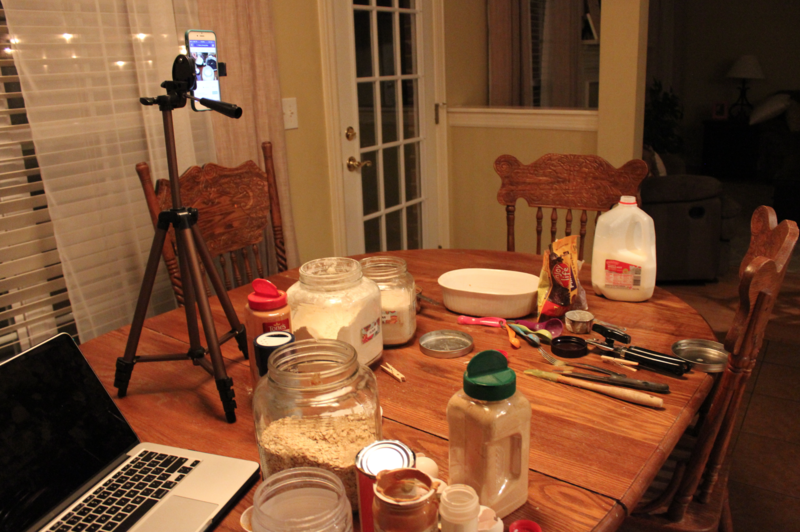 So I ended up making a single batch on video and then another batch when I got off live video. I also used the ground turkey I got marked down to make a double batch of Turkey Meatballs. 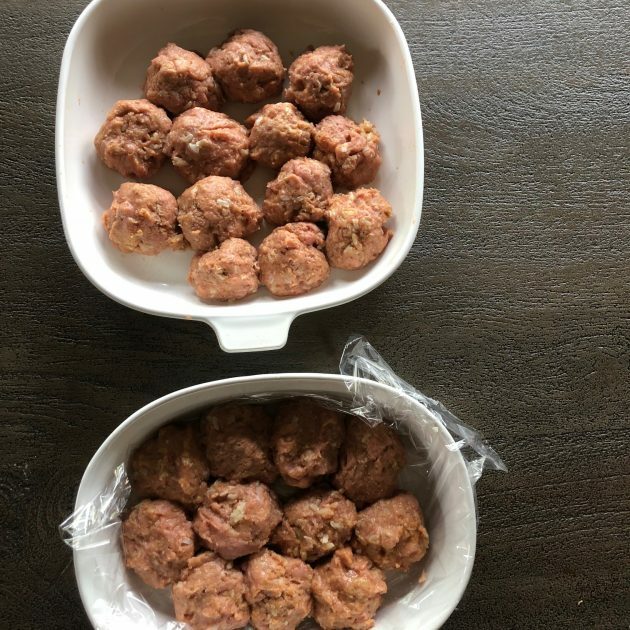 I joked on Instagram Stories that I should call these Clean Out the Fridge Meatballs because I literally used odds and ends of thing we had on hand and needed to use up — including some rice. Our garage freezer was almost empty 2 weeks ago. 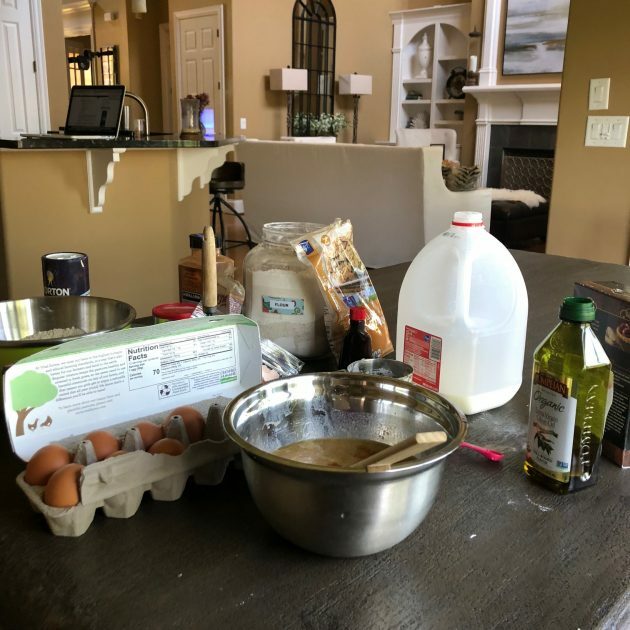 I decided to challenge myself to see if I could slowly fill it up — on our $70/week grocery budget. This is one way you can save SO much money. Buy ahead when things are on a low, low price and you’ll rarely ever pay full price for anything. 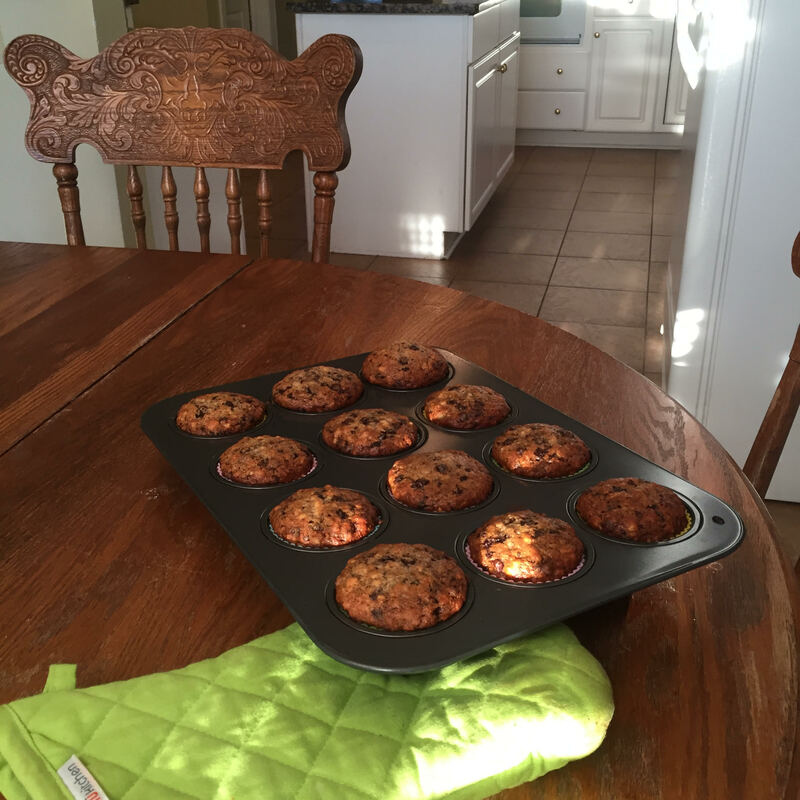 Then, use what you already have on hand in the freezer/fridge/pantry as the basis for your meals and freezer cooking. 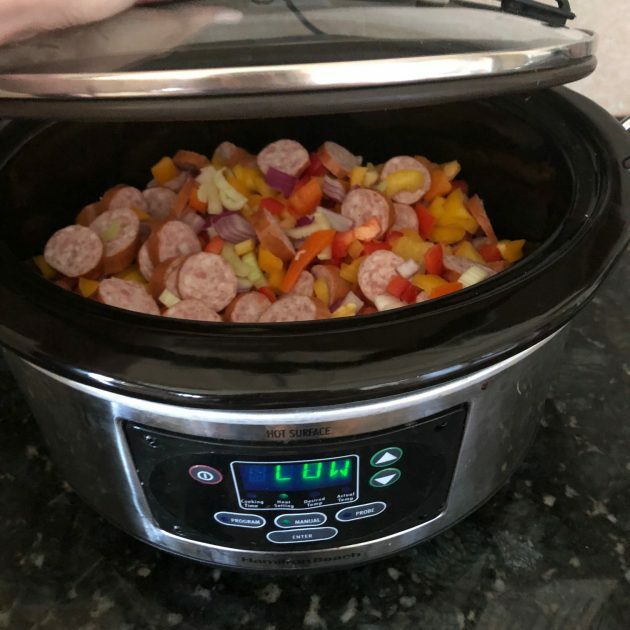 We had a bunch of peppers and some onions that I had gotten marked down, so I combined them with some sausage I had gotten for $1.99 per package a little celery I had left in the fridge to make sausage and peppers in the Crock-pot. I cooked this on low most of the day. We ate half for dinner (served over rice) and I froze the rest for another day. 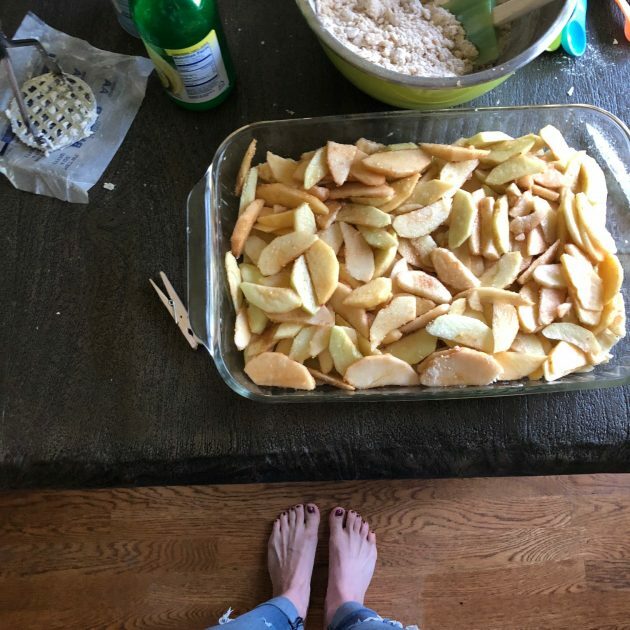 I had a bunch of apples that I’d gotten marked down at Kroger over the past few weeks and turned them into one of our favorite recipes — ! 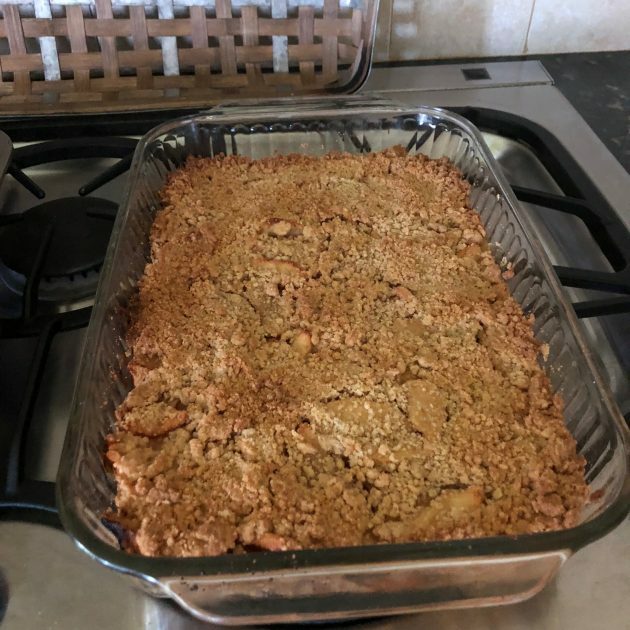 I baked it and we froze it to have on hand for quick desserts in the next two months when hosting guests! 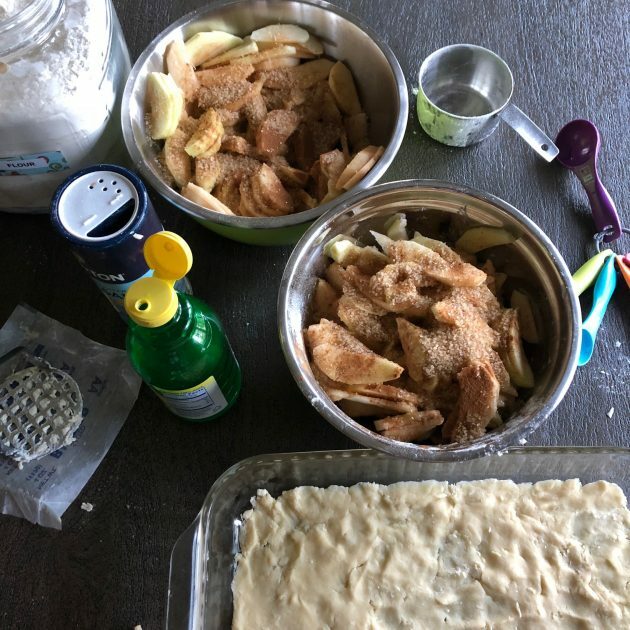 I had enough apples left over to make a bag of Apple Pie Filling (sliced apples with lemon juice and cinnamon/sugar). 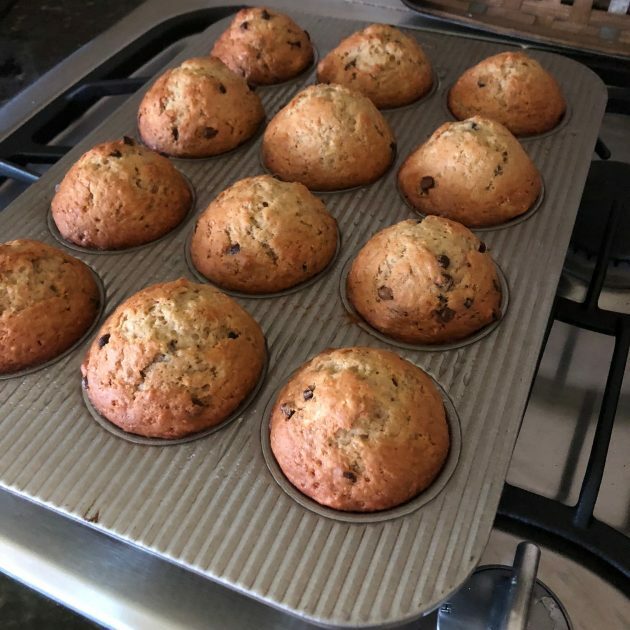 I used some marked down bananas I had gotten recently and stuck in the freezer to make some amazing Banana Chocolate Chip Muffins. 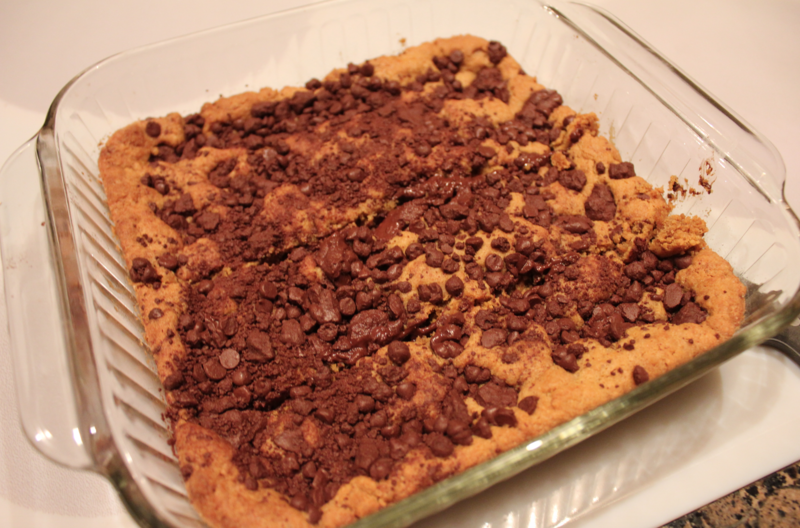 I used our favorite Banana Bread recipe and just added some chocolate chips to the batter. 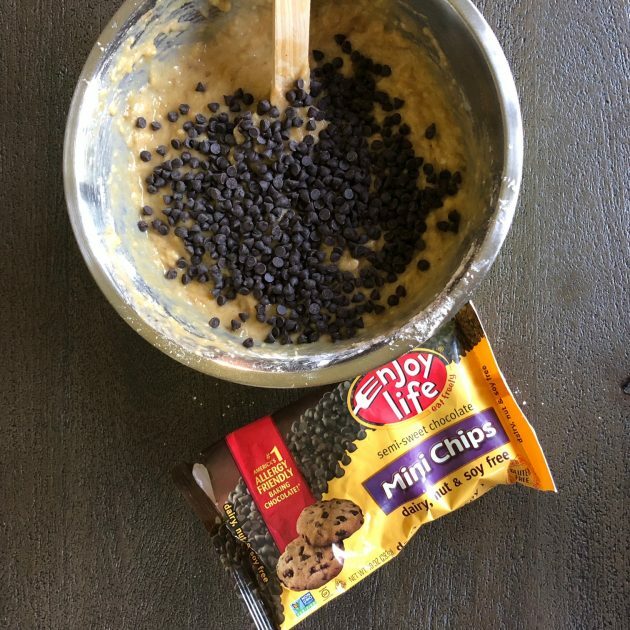 My kids love these in their lunches and they also make great snacks. We store them in the freezer and then just pull them out as we need them! 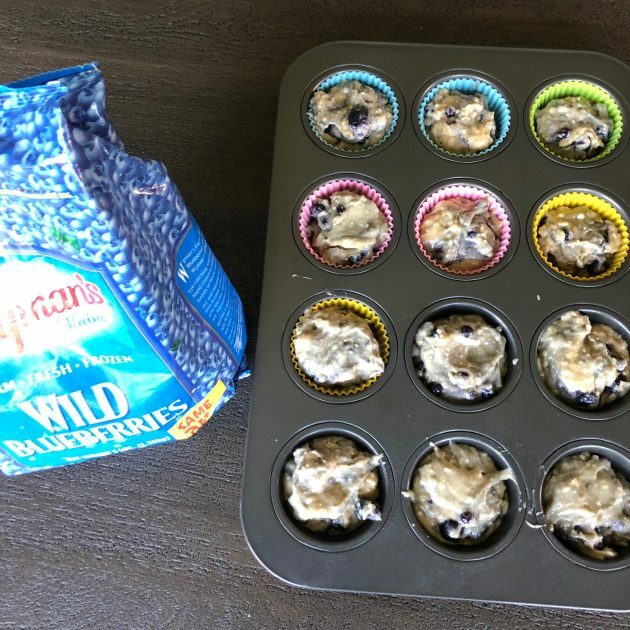 We had some cream cheese that needed to be used up and some blueberries in the freezer, so I searched online for recipe ideas and found . 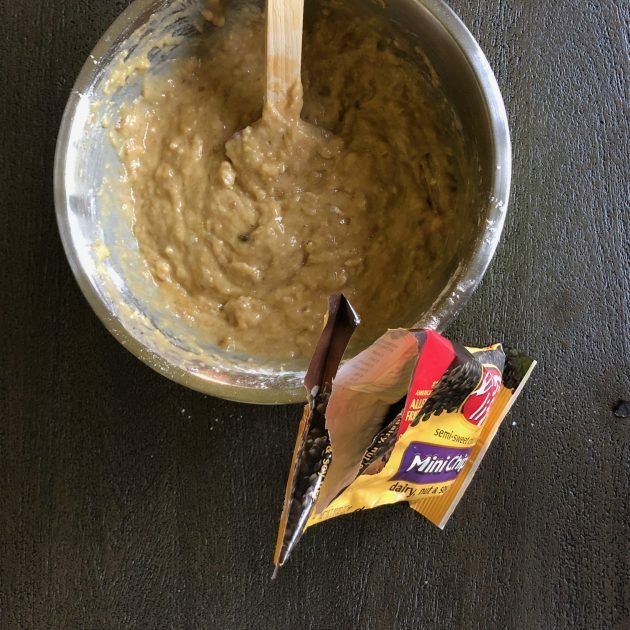 I taste-tested one and it was delicious! 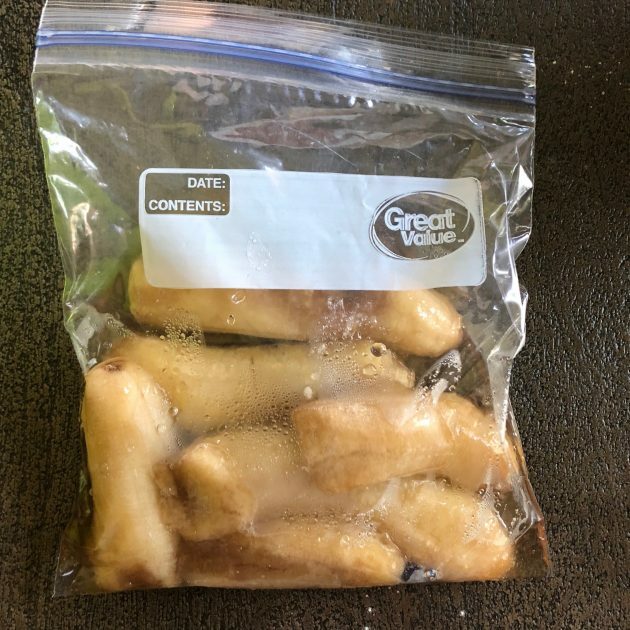 I stuck these in a freezer bag and put them in freezer fit quick snacks! 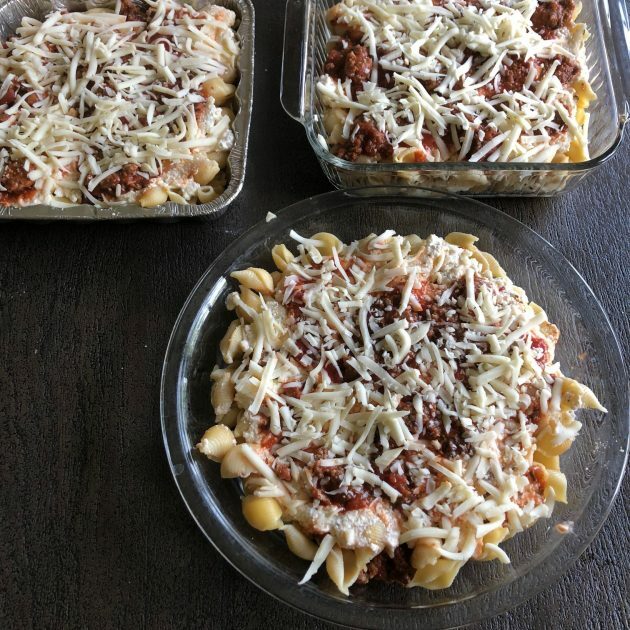 We had frozen cottage cheese and browned sausage I had gotten marked down + pasta sauce in the fridge that needed to be used up and pasta I’d gotten for $0.49/box, so I found a deal on mozzarella cheese and made 3 pans of Ziti. One for dinner that night and two for the freezer. 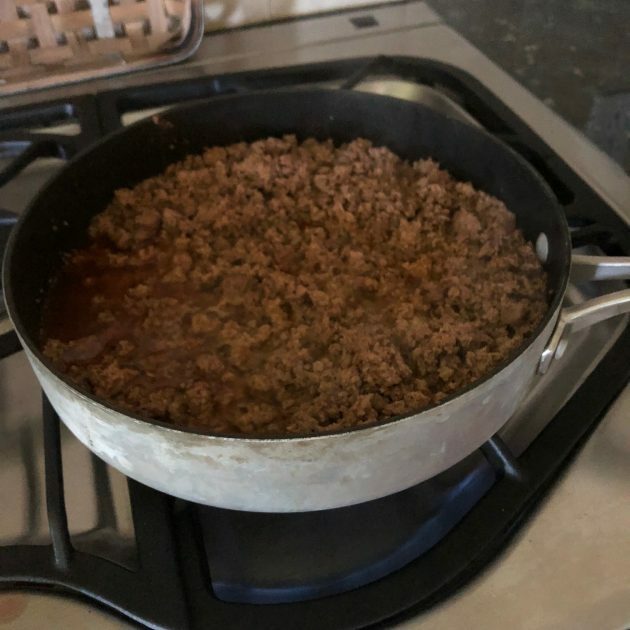 I found ground turkey marked down to $1.99 per pound, so I bought 2 pounds and browned them with homemade taco seasoning and stuck two bags of taco meat in the freezer. It makes me so happy to see that our garage freezer is starting to fill up a little bit! 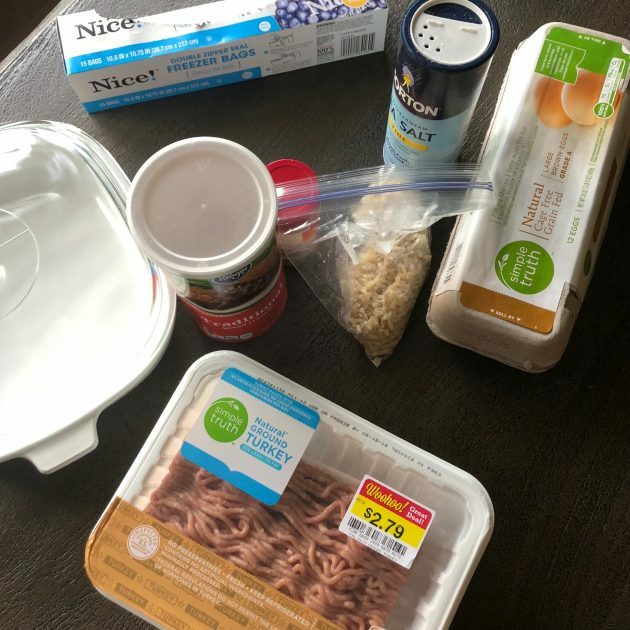 I’m going to keep challenging myself to add more deals and freezer meals to our garage freezer every week without spending more than our $70 grocery budget. I love looking at saving money as a fun challenge! This makes my competitive side come out in a good way AND (in our super lean years) it kept me from feeling trapped! 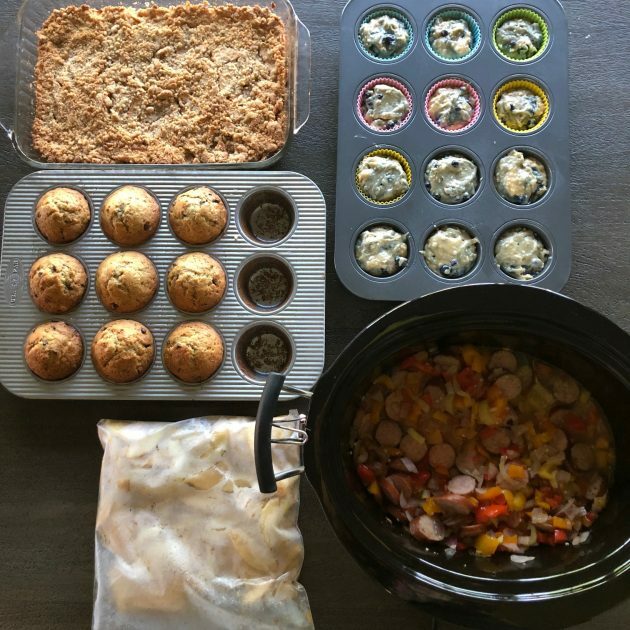 Have you done any freezer cooking recently? 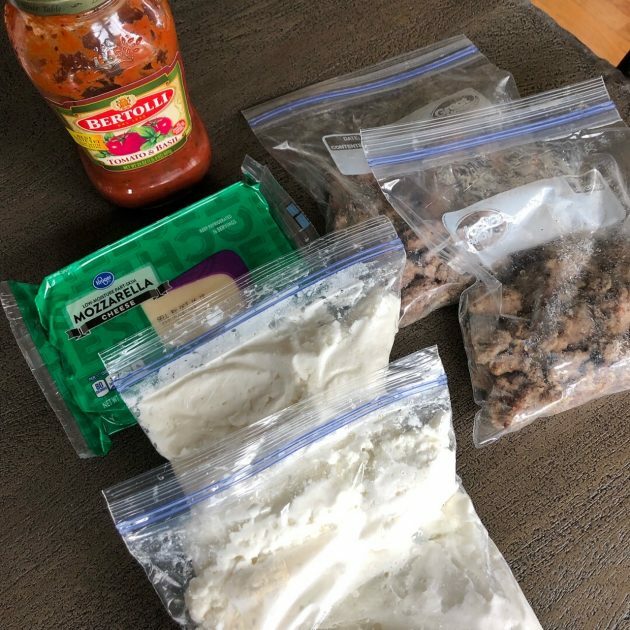 What are your favorite recipes to stick in the freezer? 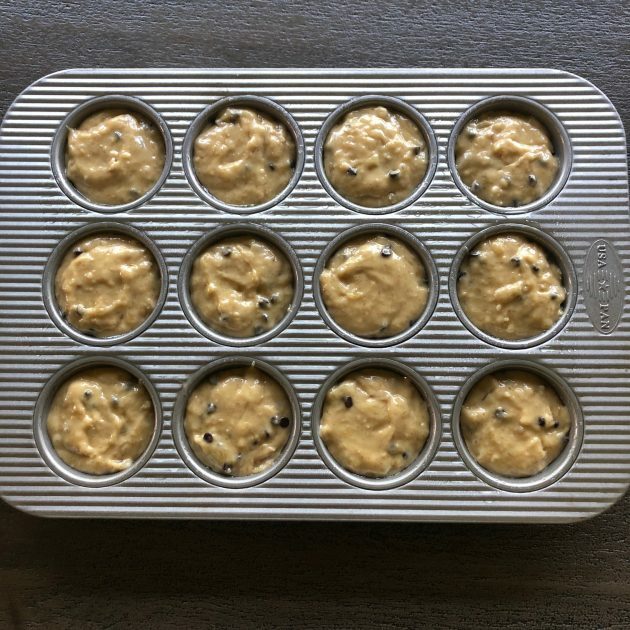 Any suggestions on recipes I should try soon? P.S. 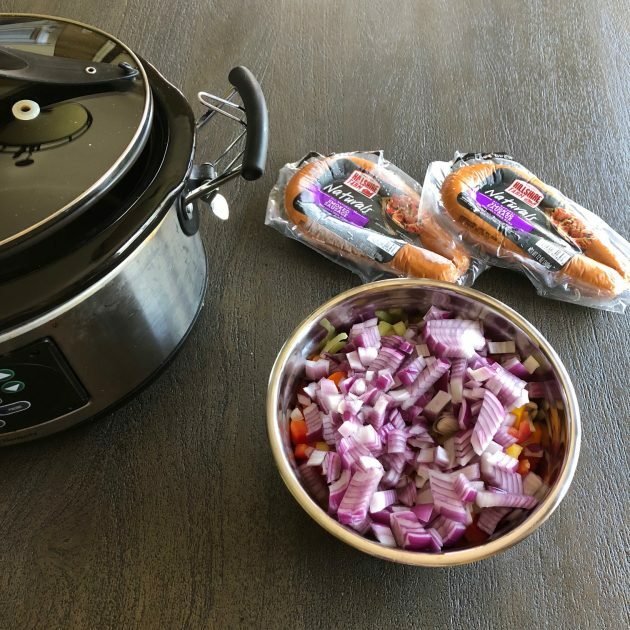 See my previous Freezer Cooking Sessions here. 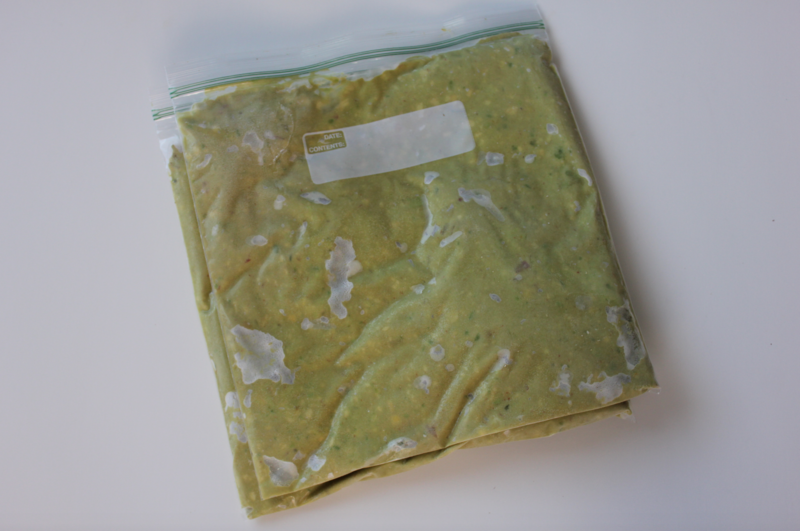 Can you freeze avocados? I set out to answer that question a few weeks ago and here are my results! Y’all know I love me some clearance buys at Kroger. I mean, really, those yellow WOOHOO stickers make my heart skip a little beat. Our Kroger has a section for marked down produce and they have these red mesh bags that they fill with produce. Each bag is just $0.99. Sometimes, it will be a pretty sorry deal — like 3 half-rotten apples for $0.99 or 5 potatoes for $0.99. But oftentimes, there are some really amazing deals in these red mesh bags. 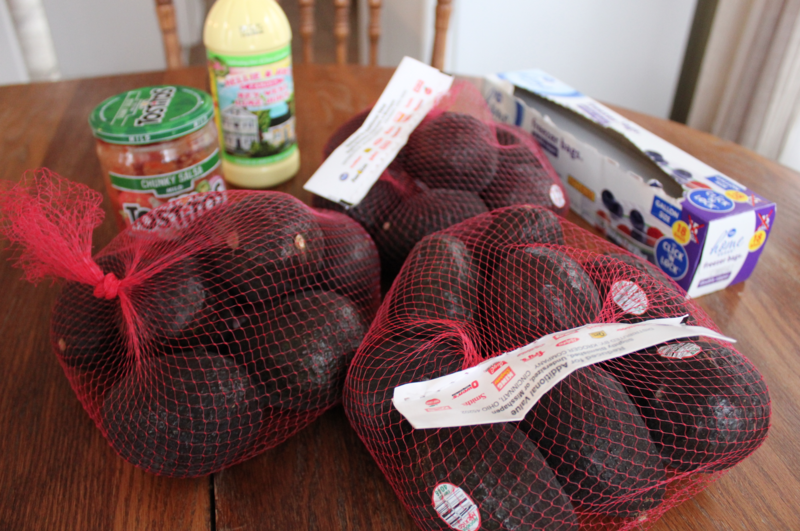 Case in point, a few weeks ago, I went to the store and saw an incredible deal on avocados. And by incredible, I really mean incredible. 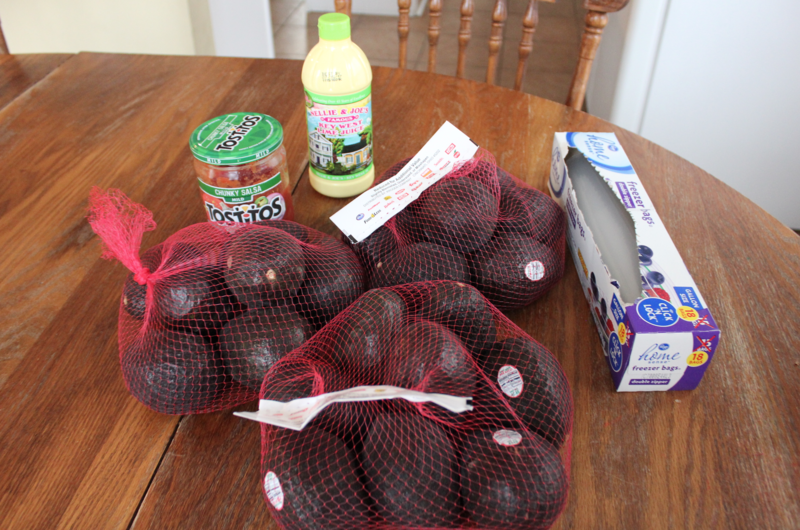 They had bags of 6-7 avocados that were ripe (but not overripe) for just $0.99 per bag! 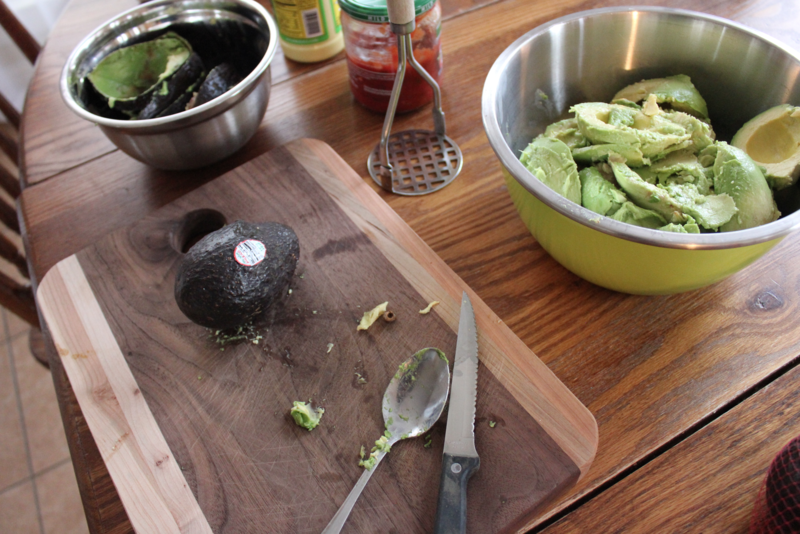 I love avocados and I eat a LOT of them on the eating plan I’m on. 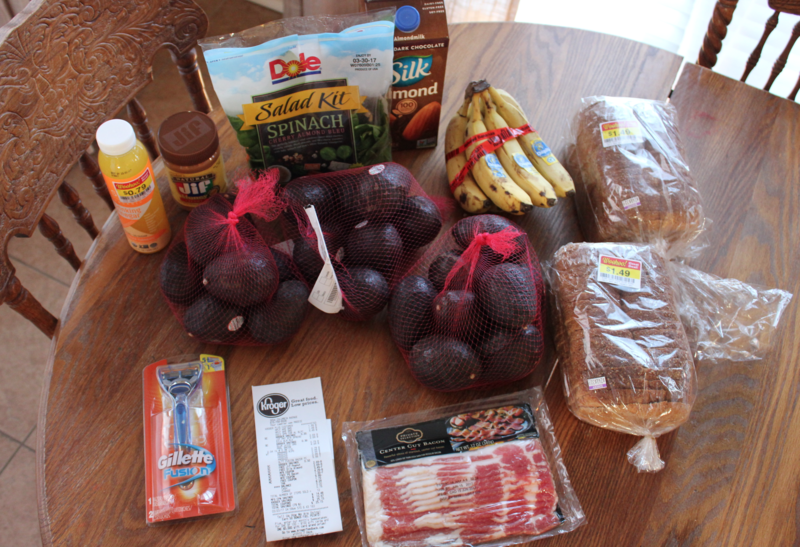 Right now, avocados are usually priced around $0.88 per avocado (I’ve seen them for as low as $0.25 to $0.30 each at ALDI, but that’s very rare) and I usually eat one avocado almost every single day. So this was a BIG score for me! The only problem? I knew I couldn’t eat them all up before they went bad. 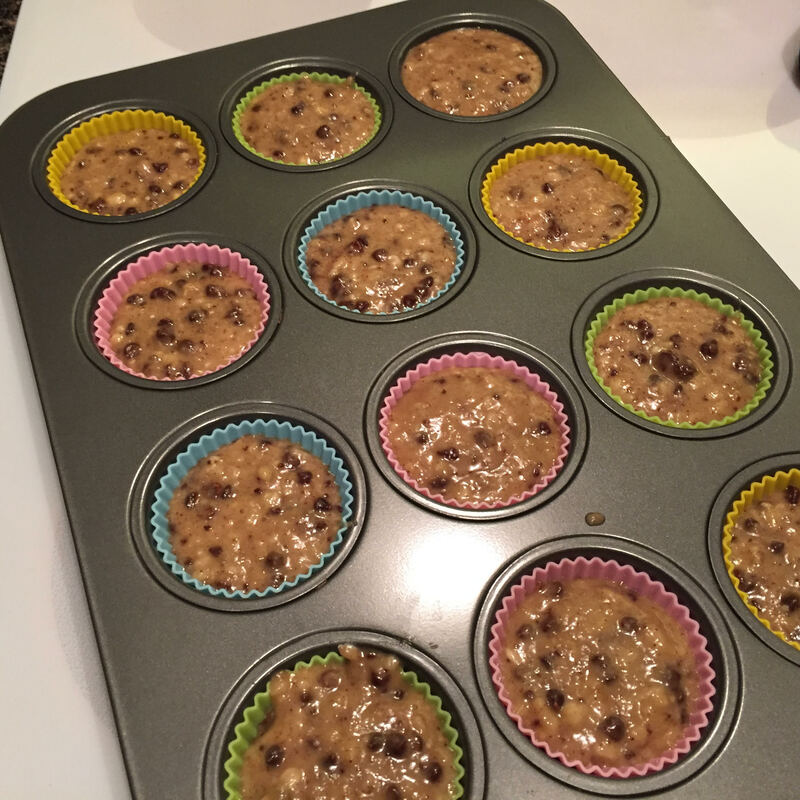 From what I found, it looked like it was worth the risk to attempt freezing them. There were six bags and I decided to play it safe and only buy 3 bags, just in case my experiment was a flop. 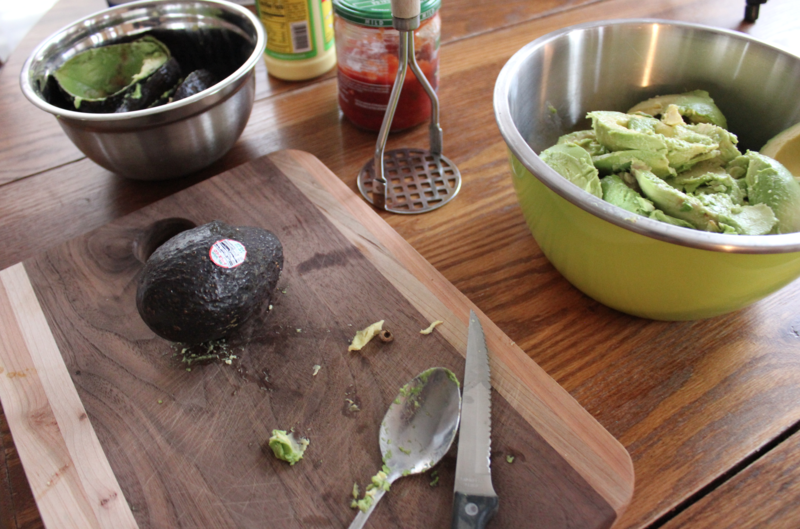 To freeze them, I pitted them, scooped out the insides, and then mashed those up and added some salsa and lime juice. I then stuck them in freezer bags, pressed them flat and put them in the freezer. A week later, I thawed one out and it tasted great! 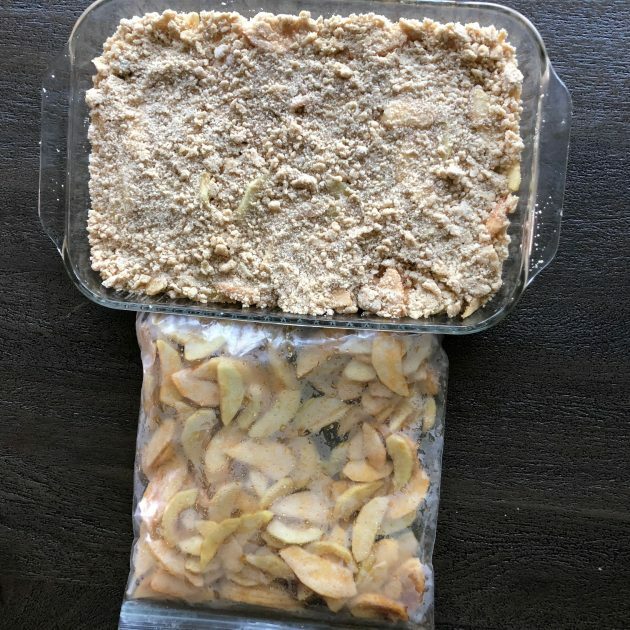 I stored it in the fridge for a few days and ate some every day to see how it fared. 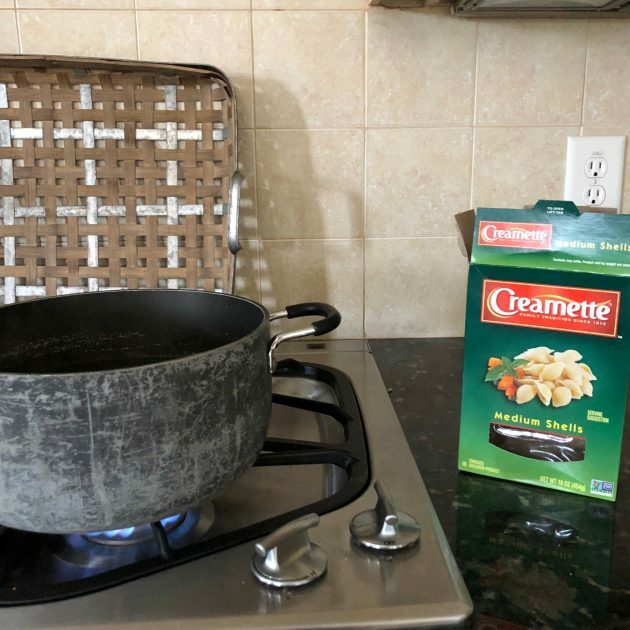 I’d say that it’s best to use it the day you thaw it, though it was still fine a few days later — it was just a darker brown color and didn’t look too appetizing! 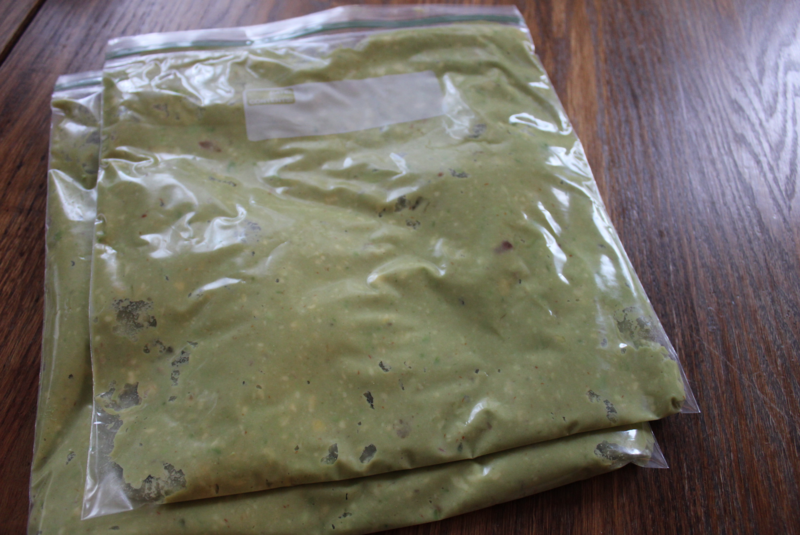 I opted to freeze my avocados with salsa and lime juice for flavoring because I usually eat my avocados with salsa. 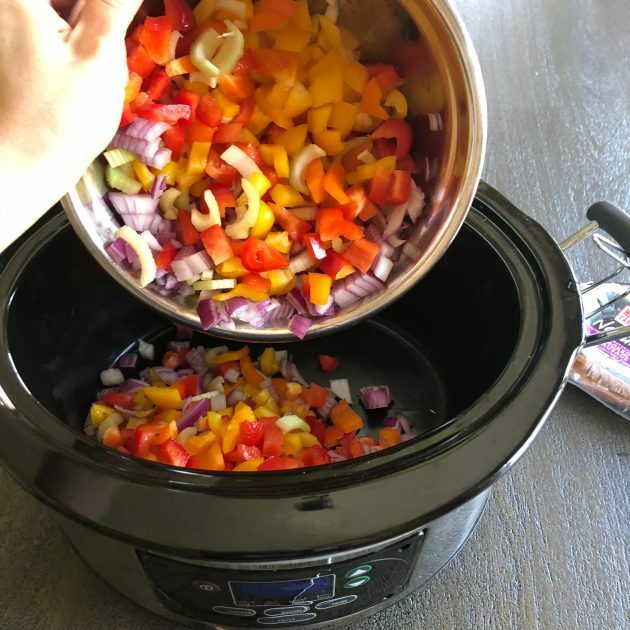 You could also add other seasonings, herbs, or flavorings to it — such as salt, cilantro, tomatoes, onions, or cayenne pepper. 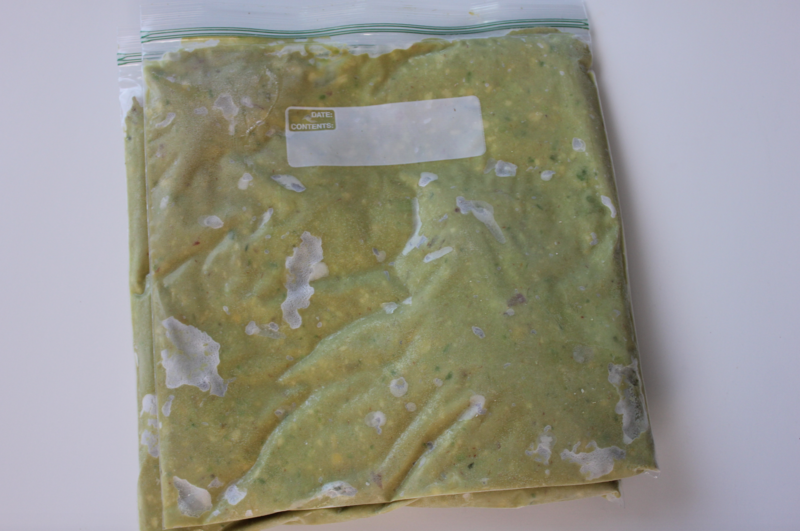 Onions and tomatoes can be a little on the iffy side to freeze, though, so you could also add those in fresh after you thaw the avocados. You can also if you want to use them in smoothies. 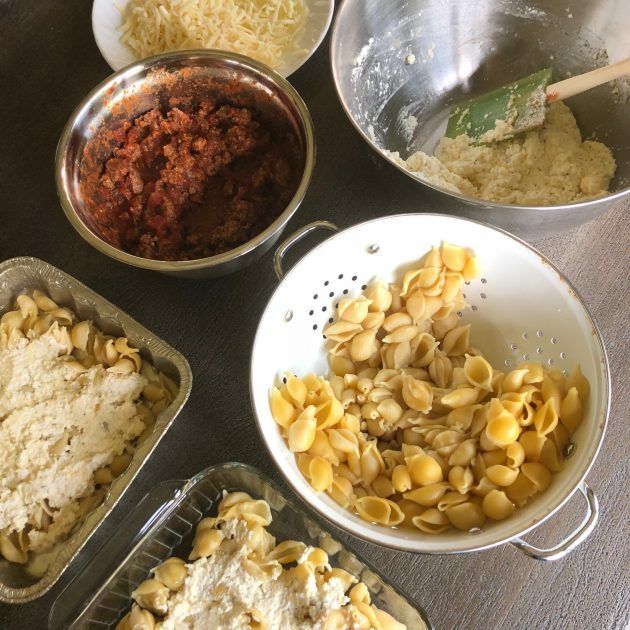 So many of you loved me live-videoing my freezer cooking session last time around that I went ahead and did the same this time, too. If you want a laugh, you can . 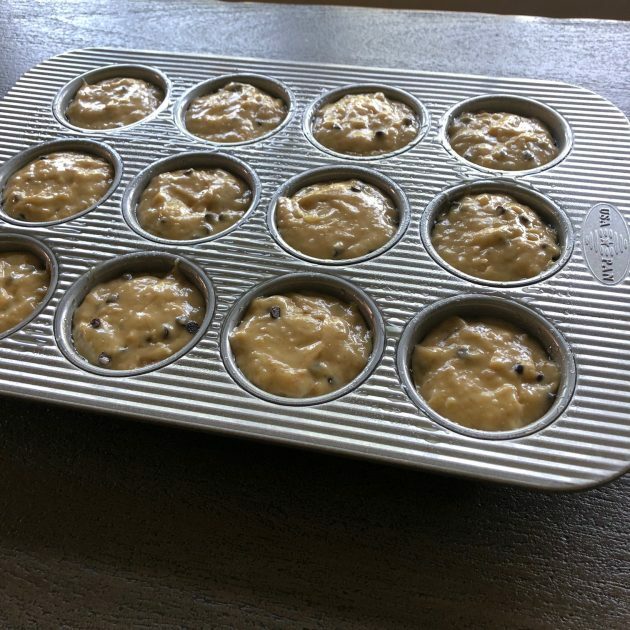 I was a little scatter-brained and had to change things up on the fly because I didn’t have all of the ingredients and forgot to follow the muffin recipe. The good news? Everything turned out really well! 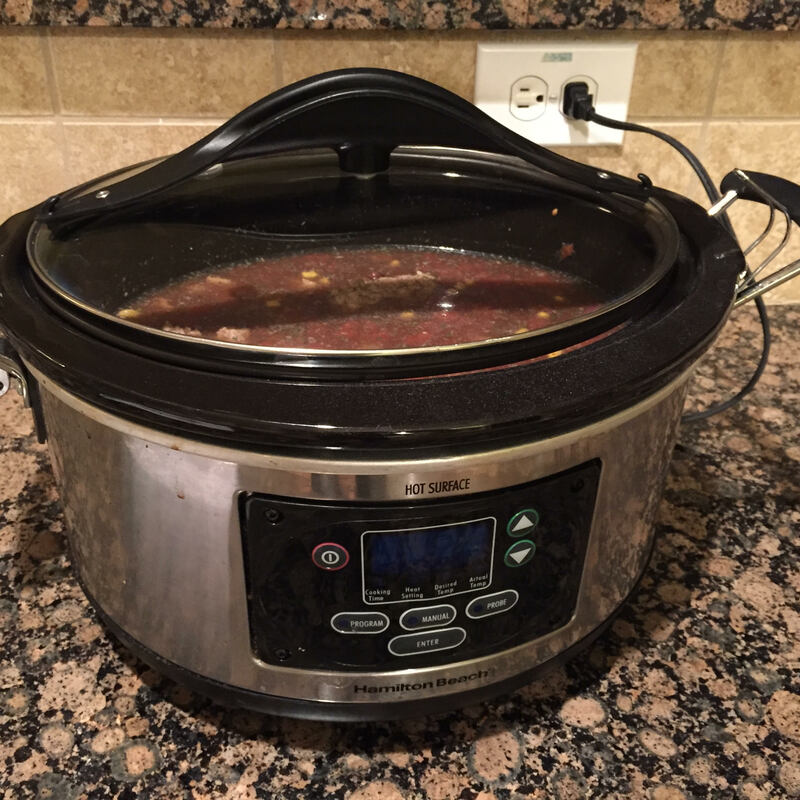 This Crockpot Taco Soup is so easy to make and so versatile! 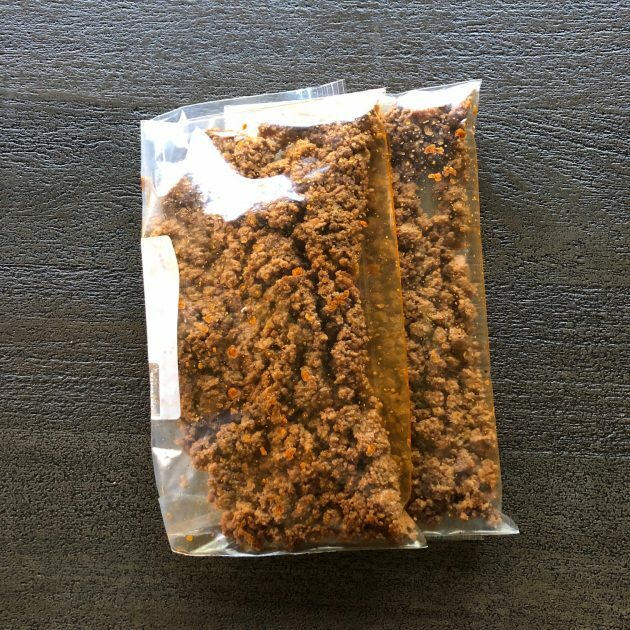 Did you do any freezer cooking this week? Tell us about it in the comments! 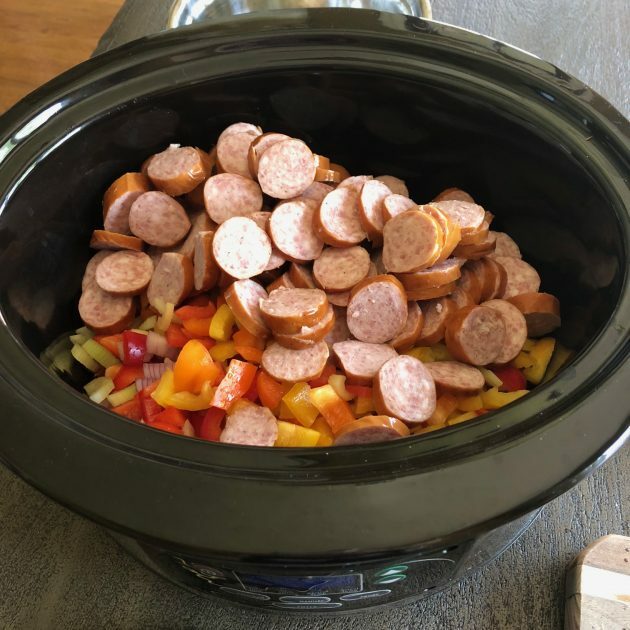 I did something different for this week’s Freezer Cooking session. 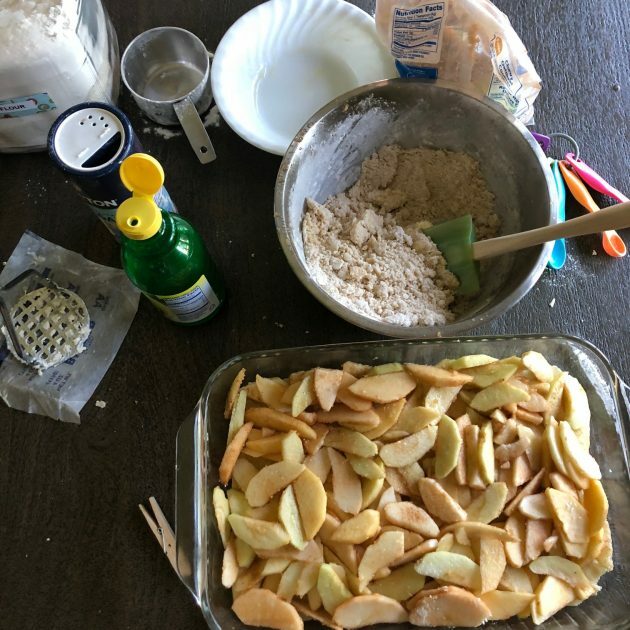 Instead of doing a few Facebook Live videos and taking lots of pictures for a blog post, I decided to ! The entire session took me 30 minutes total — and then a little clean up time. 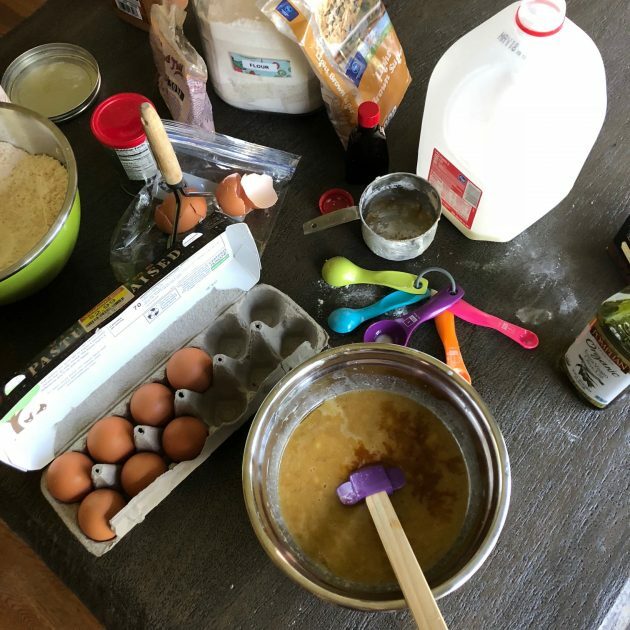 I’d love to hear your feedback on whether you like me doing the full cooking sessions live like this. I love that people can interact live, share tips, ask questions, etc. It’s live-blogging at its finest! 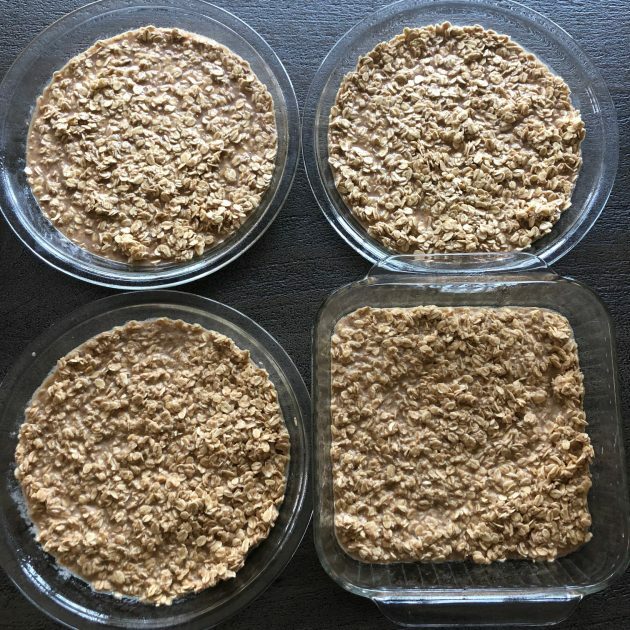 — I love recipes from ! 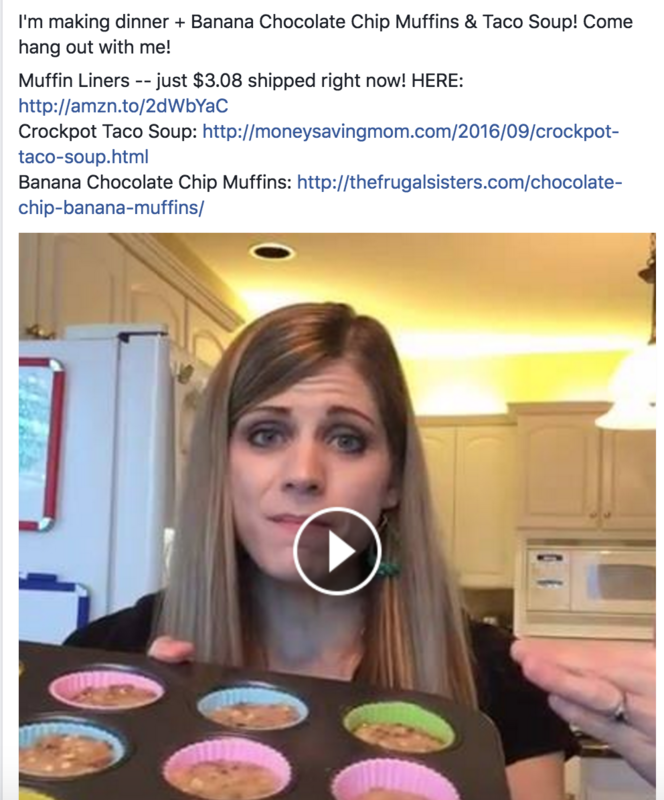 I especially love how she makes her recipes so flexible so can adapt them if you have food allergies or preferences. 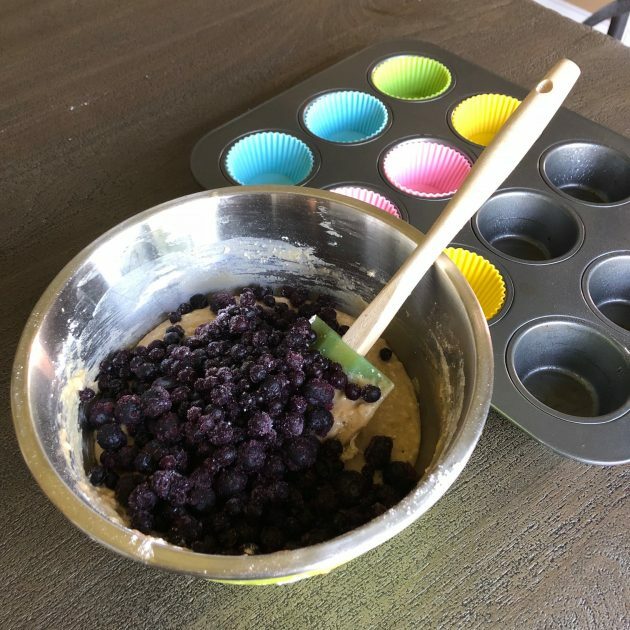 — I had some leftover coconut in cupboard and some blueberries from ALDI, so they served as the inspiration to try this recipe. 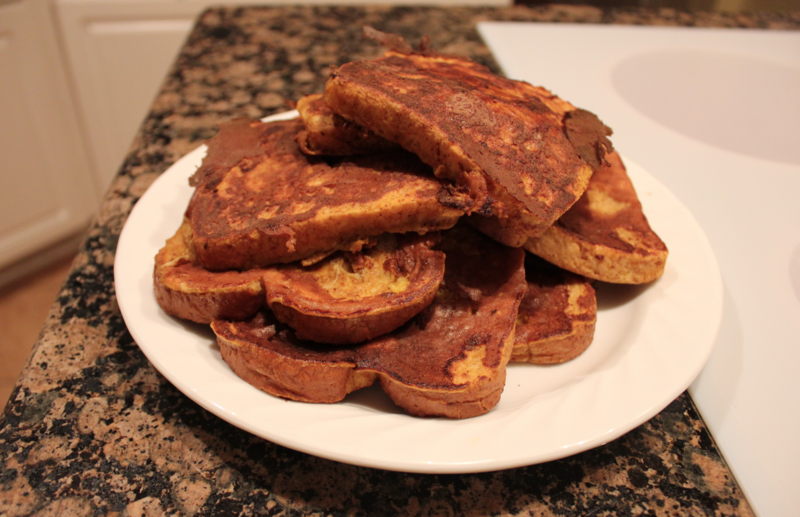 I was really happy with how it turned out and think it would be amazing served over Greek Yogurt for breakfast or with ice cream for dessert. 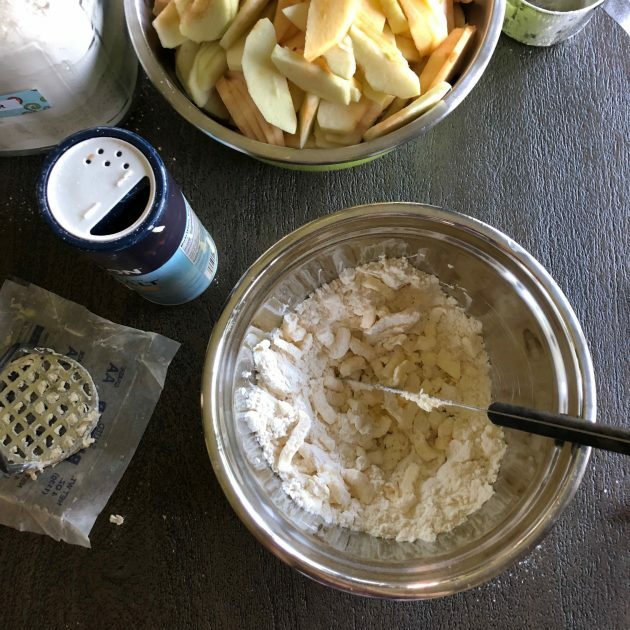 It’s not as healthy as , but the coconut gives it a different twist and it’s definitely a recipe I’d recommend. — I know it’s just barely September, but I’m all about the pumpkin over here. Have I mentioned that I absolutely adore fall? Oh yes I do! And I start pretending that it’s fall just as soon as it hits near the end of August. Gratefully, the weather has even been cooperating with my plan some of the days and it’s been cooler temperatures instead of crazy hot! 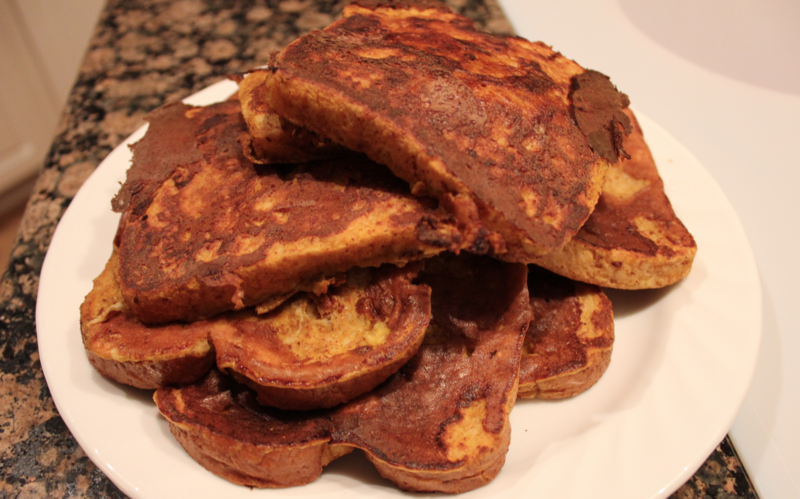 So when I saw this Pumpkin French Toast, I was all over it. 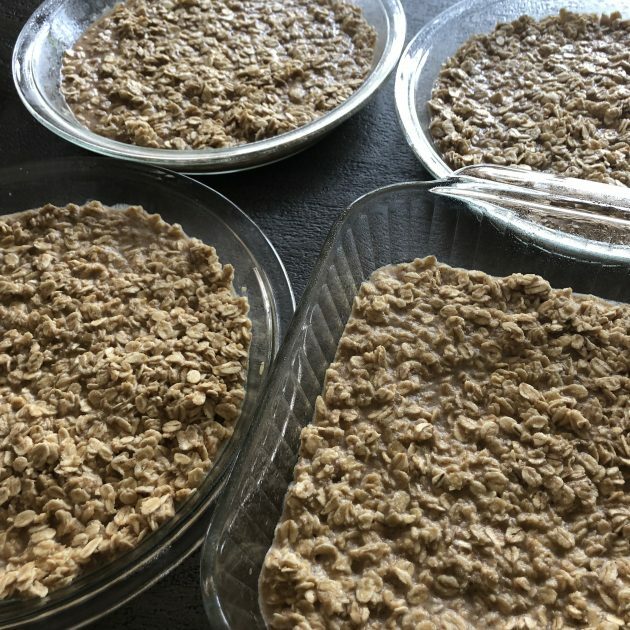 It was SO easy to make and it’s a really inexpensive recipe that can be made with ingredients from ALDI! P.S. 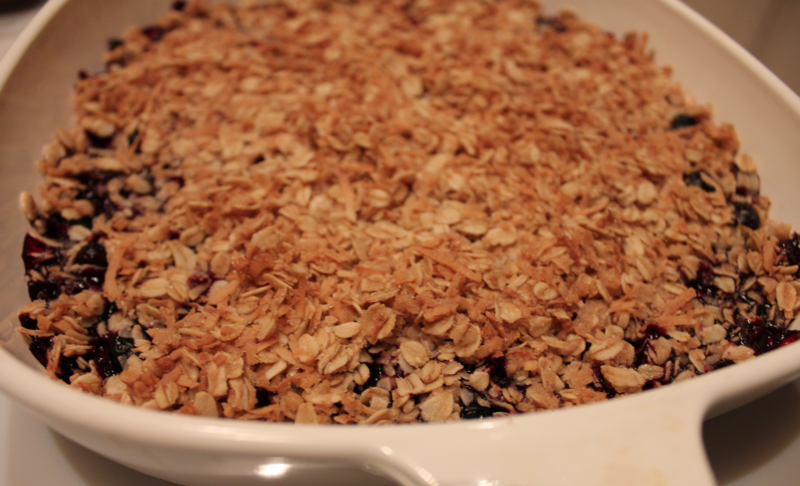 See Last Week’s Freezer Cooking Session Here.